← Flowers and Spice and All Veg – Nice! I have been frantically trying to preserve a lot of elderflowers. Last weekend, the Big Guy and I went out picking elderflowers and rose petals. I greedily decided to try a second champagne recipe, and went off picking without really reading how much I would need. The recipe I chose to use required far less than I had imagined, so I had a lot leftover. Of course, not being one to waste them, I have lots of recipes to share in the next few days. I’m waiting for some of them to finish brewing. However, if you are going to be able to take advantage of these this year, you can still find some flower bracts now, but we are definitely coming towards the end of their display, at least here in the Netherlands. Go out and get some, and keep them in the fridge for some of the elderflower recipes to follow. The simplest thing to do to preserve the flavour of these short-lived but beautiful flowers is to infuse sugar with them, in a similar way to the vanilla sugar that makes the use of high quality vanilla beans worthwhile. The elderflower sugar keeps well and is a lovely reminder of the early summer when the flowers are in full bloom. You can use it in cakes, biscuits and many other things, and I will be experimenting with some baking in the coming weeks. If you only have enough elderflowers for one more thing, this is the stepping-stone recipe you should probably make. Get a large glass jar with a lid. The amount of flower bracts that you will need will be determined by the size of the jar. Pick through elderflower heads, and remove any brown flowers or bits. Remove the flowers from their stalks. This is easily done, by gripping the stalk between your thumb and forefinger, and pushing them down to the flowers. They will pop off with very little pressure. You need to keep as much of the pollen as possible, because that is where the flavour is, so try to get the blooms in the jar as you strip them from the stalks. Keep going until you have filled about a quarter of the jar. Top up the rest with the sugar, give it a stir and leave it to infuse for at least 3-4 days. Sieve out the flowers before use. That sounds really awesome and delicious. I’d love to do this if I knew how/where to get those adorable flowers. Foraging is great, feels natural to be in nature.. I had a quick look at your site, and I think you are based in the US. You should be able to find elder, as it grows pretty easily over most of the States, with the probable exception of Alaska. 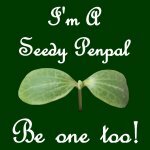 Over here, I find it in hedgerows and parks, it seeds itself really easily. About now, it froths with beautiful bracts of tiny white flower, and in autumn great umbrels of purple/black berries. The tiny flowers that you see in the photo have been picked from a few larger stalks. Love the idea of the sugar – I imagine it’s a very subtle flavour. Trying to work out which cake it might be best suited to.. The subtlety depends on the number of flowers, I think. I have used it on some pancakes so far. Very nice. Managed to find some elderflowers still in bloom and will set this up today! Thanks for the great post! Wow, you’re lucky. Ours were over ages ago. 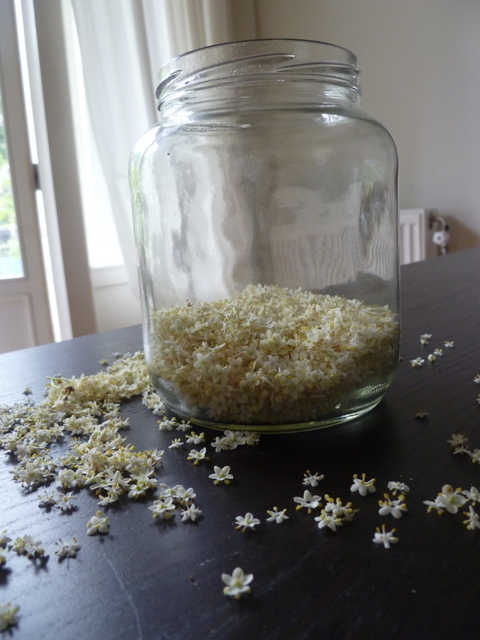 I do have a couple more elderflower posts coming soon, as I have had some items brewing.